Thanks for a great challenge last week, your Thinking of You cards were wonderful! 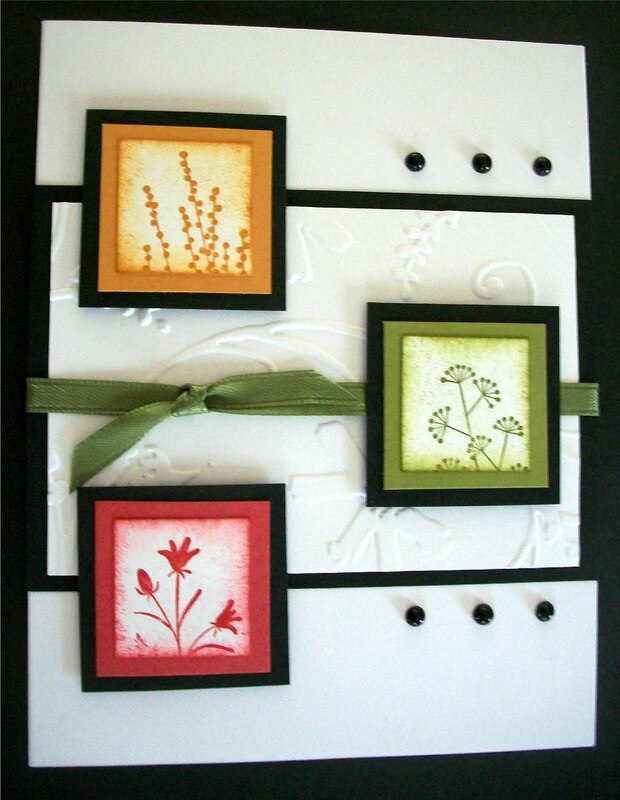 This week we challenge you to make cards for our heroes to send home to their loved ones using “Inchies”. 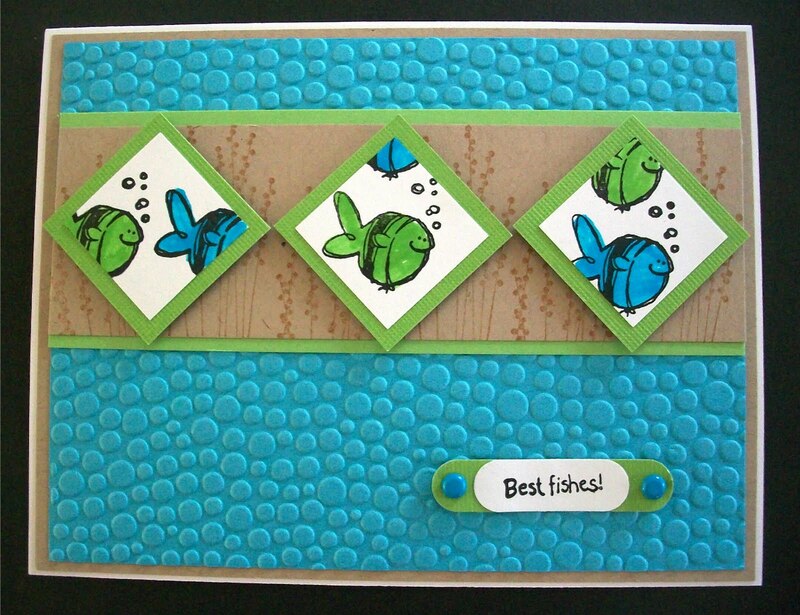 Our challenge comes to you courtesy of our sample card maker today, Lisa! 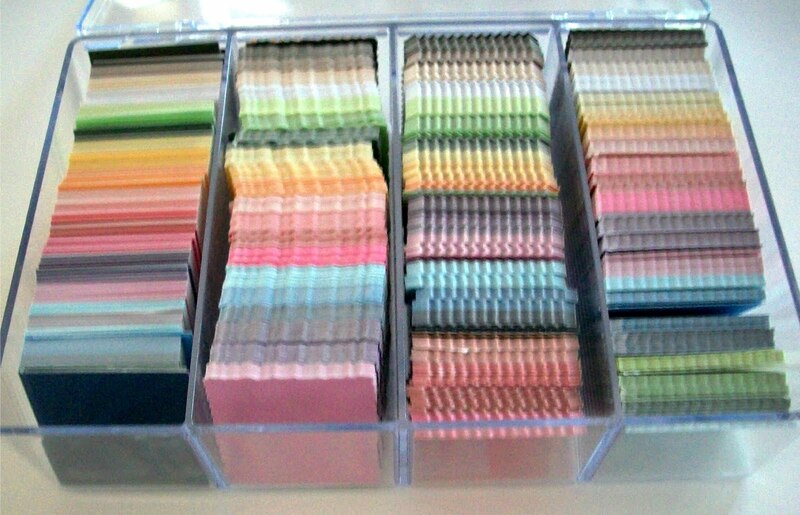 Lisa wants us to make our cards using one inch squares, well maybe not exactly… You’ll see what I mean when you see her cards, I promise! I can’t wait to see your card creations! As you know our sample card maker this week is Lisa, see more of her fabulous art work please visit her blog Stamping With A Mission. I think you'll have the idea now. Thank you Lisa for sharing your awesome creativity with us! Lisa also has a little blog candy for this challenge! Each entry for our challenge will have a chance to win! Great samples! I cannot wait to case the second one! Okay--this is the new pinwheel!! Can't wait to get home from work and play with this challenge. Both of these cards are great. 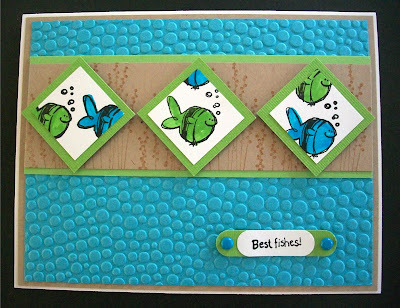 I adore the fish card and also love the flowers card. Both unique and beautiful in their own right. Thank you for sharing. What a gorgeous share this morning. I love both cards, but those fish, just stole my heart. Daddy loves fish, and his birthday is the end of the month. You have inspired me sweet friend. Thank you for the gorgeous share. Two really great sample cards Lisa! I've seen the inchies stamps out in stores but have never bought any. These samples help me to see the concept in a whole new light. I can't wait for a chance to look through my stamps and consider which ones could be cropped into little 1" works of art and how they might be combined into a layout. I recall a sketch that I think is perfect for inchies - that one with the 9 blocks! Can't wait to play. Great samples, Lisa! Love inchies!! Thanks for inspiring me to make some cards!! This is the first time I have entered a challenge & the first time I have used inchies! Thanks for helping me expand my card making skills.